An internal 1946 OTO document has bearing on Grady McMurtry’s authority to incorporate OTO and to deal with the Crowley copyrights. It speaks to Crowley’s intent in his two letters of appointment of 1946, which formed the basis of McMurtry’s claim to lead OTO, particularly when interpreted in conjunction with several personal letters from Crowley. I [McMurtry] brought up [in a meeting with members of Agape Lodge in the LA area] the question of our legal status before the law in collecting money for Lodge work. In the discussion that followed it was brought out that (1) Jack [Parsons, the then acting lodgemaster of Agape Lodge] had suggested to you [Crowley] that the O.T.O. be incorporated, (2) you had told him not to bother you with details but to do as he saw fit, (3) according to Liber CI, 42, members of the IX° share the whole property of the Order. Therefore it was decided to proceed without delay to incorporate the O.T.O. in California. Under this plan O.T.O. Inc. would be the central organization in California with power to grant charters to chapters throughout the state. Thus Jack [Parsons] would have Agape Lodge in Pasadena, I could have Thelema Lodge in San Francisco, and Max [Schneider] could have a chapter in Beverly Hills if he so desired. When and if Karl [Germer] decides to incorporate O.T.O. on a national scale then the O.T.O. in California would merely become an affiliate of the National Lodge. Once incorporated we can obtain copywrite [sic] protection throughout the United States for the Symbols of the Order and for your books. These are now being stolen by AMORC, etc. and are being used against us. Jack has taken the papers to his lawyer so the corporation should soon be a legal fact. In order to relieve Jack of some of the responsibility he has been carrying I accepted the position of Treasurer for the corporation in California. This memo to Crowley assumes more importance in that Crowley explicitly cited it in one of two letters of appointment (the first one of March 20, relating to California) written in spring 1946. In the second letter of c. April 20, Crowley appointed McMurtry his -personal representative in the United States. These Presents are to appoint Frater Hymenaeus a Grady Louis McMurtry IX° O.T.O. as our personal representative in the United States of America, and his authority is to be considered as Ours, subject to the approval, revision, or veto of Our Viceroy Karl Johannes Germer IX° O.T.O. Crowley wrote a few other letters of a more general and suggestive nature, implying that McMurtry might succeed Germer as world head or OHO of OTO (the so-called “Caliphate” letters). While these are extremely important, and were explicitly given credence in the US Federal Ninth Circuit court decision of 1985, I am here more concerned with Crowley’s two specific authorizations of spring 1946, whose scope and meaning are clarified by McMurtry’s 1946 report. Taken together with the inspection report, the authorization letters comprise explicit evidence that Crowley authorized McMurtry to incorporate the OTO, protect his copyrights and take control of the OTO, with Crowley’s authority, in the only jurisdiction where it had significant membership, the USA. Returning to the January 1946 report, note that some particulars discussed changed soon after it was written; these changing circumstances did not affect Germer’s approval. John Parsons resigned from OTO soon thereafter. There is also evidence in later correspondence between Crowley and Germer, and Germer and McMurtry, discussing the planned post-Crowleyan “triumvirate” to lead OTO, and other evidence of later discussions among members of incorporation plans. These help contextualize certain details in the 1946 report. It is significant that McMurtry discussed or proposed three definite actions to Crowley in his 1946 report that Crowley (by giving him the authorization letter “in pursuance to his report”) demonstrably approved. McMurtry followed through on these, and though he did this many years later, he always asserted that he had been authorized by Crowley to do so. McMurtry was a military officer by training. He always fulfilled his orders, and never exceeded them. First, McMurtry acted to protect Crowley’s copyrights as early as 1969. Secondly, he founded Thelema Lodge in the San Francisco area in 1977. Finally, he incorporated the OTO in California in 1978. It is sometimes asserted that Karl Germer never explicitly accepted McMurtry’s two written authorizations from Aleister Crowley that placed him in control of the O.T.O. in California and the U.S. under Germer and Crowley. I believe that these authorizations made McMurtry the third ranking officer in the OTO worldwide before Crowley’s death, the second after Crowley’s death, and the highest after Germer’s death. I have already quoted both authorizations, and given additional background material for the interpretation of the first authorization (dated c. March 20, 1946) for California. I will now examine the evidence for Germer’s approval of this authorization, and that for the USA dated c. April 20, 1946. As Germer’s approval is required in the authorizations themselves, it is important that we can prove that Germer approved them. I have analyzed the McMurtry-Germer correspondence for March 1946 through their meeting in Los Angeles in August of 1946 and quote the pertinent passages below. I am still thinking of going to California this summer, and before arriving in Los Angeles I will have had a chance to meet you in San Francisco. I want you to be fully informed, as 666 [Crowley] holds you in charge of the Californian activities, with any steps you decide to be taken with my approval. … Let us cooperate fully. Referring back to McMurtry’s inspection of Agape Lodge in January 1946, Germer refers to McMurtry as “a special emissary from Grand Lodge” (i.e. OTO Headquarters). You should be present at the meeting with Jack [Parsons], in the first place. And, as said before, I would like decisions [to] be made and executed in your name. Brother Grady is expected down here shortly and that Baphomet [Crowley] had conferred on him special authority for California, subject to Brother Karl’s approval. This is an unambiguous reference to the California authorization. At this point, there is no indication in the correspondence to suggest that Germer had yet been informed by McMurtry or Crowley of the more sweeping April 20 authorization for the USA. After consideration of our telephone conversation of this afternoon I have decided that you should have the two enclosed documents with you at the present time. You can show them to Jack [Parsons] now, later, or never as the occasion demands. Germer replied on August 7, an important letter in that he clearly approves both authorizations. I am holding the two documents you sent me; I see no reason why you should not show them to Roy [Leffingwell] and whoever is entitled to see them. My principle [sic] reason for sending the documents was for your use, if you found it expedient, in handling Jack [Parsons]. I thought that it might be very useful in impressing on him the gravity of his situation and to show him that Aleister is really fed up this time. It might be best if you showed them to Max [Schneider] and Roy [Leffingwell], even Ray [Burlingame], before I get there. I am going on the assumption now that I will be exhibiting them to the general meeting on Wednesday [August 14]. Even if, for some reason, that should proved [sic] undesirable, there is still no reason why Roy and Max should not see them now. Brother McMurtry then took over … He then spoke of the authority he had received from Baphomet [Crowley] in Hastings which he read. It is not possible to infer whether one or both authorizations were read from the minutes. In the meeting McMurtry went on to speculate on why he was thus authorized by Crowley, adducing personal qualities. He mentions that Crowley may have considered that fact that he was a fellow poet a qualification. Germer’s letter of August 7 and McMurtry’s letter of August 9 both suggest that the authorizations might be shown only to certain members with a need to know. The minutes make clear that Germer had already told the Lodge membership of McMurtry’s California authorization in the previous meeting of August 2. It is possible that the Agape Lodge general membership was only told of the California authorization, as that was the authorization that particularly concerned them. However, the letters quoted above suggest that the senior leaders at Agape Lodge were probably shown both. In any event, Germer clearly encouraged McMurtry to produce both in case of need. I was very happy about your stay and the way you handled things. I am sure you have definitely established your position and that everyone has confidence in you and respect. This is a clear endorsement of McMurtry’s position by Germer. There is no further reference to these authorizations in later correspondence between Germer and McMurtry. The authorizations were never revoked or vetoed. The main point is that the evidence shows that Germer accepted both authorizations as valid and that they remained in force at Germer’s death. These Presents are to appoint Frater Hymenaeus [Alpha] Grady Louis McMurtry IX° O.T.O. as our personal representative in the United States of America, and his authority is to be considered as Ours, subject to the approval, revision, or veto of Our Viceroy Karl Johannes Germer IX° O.T.O. It is notable that Germer is termed a Viceroy, and designated as a IX° and not a X°. The first contemporary comparative appointment to examine is Crowley’s appointment of Karl Germer as his “Legate” for O.T.O. in the U.S., dating from April–May 1941. “Legate” is an unusual term in O.T.O. that appears in Crowley’s later usage in letters to Germer to more of the nature of a personal representative than a Viceroy, which latter term in O.T.O. parlance means an acting national head but not a full National Grand Master General X°. Germer had been made Grand Master General X° for the Free German-Speaking Peoples in 1941 but was apparently never appointed X° for the United States by Crowley in Crowley’s lifetime. We Baphomet O.H.O. hereby appoint the T.I., T.I., and T.I. Frß Karl J. Germer X° (Grand Master General of the Free German-Speaking Peoples) as our Legate in the United States of America to take precedence of all previously constituted Authorities with special power to revive the dormant Mount Sinai and Rose of Sharon. For purposes of comparison to Crowley’s authorization of McMurtry, the important parallel is the formal style and the use of the regal “we” or “ours” in the two documents, a hallmark characteristic of charters granting O.T.O. authority (other examples dating from c. 1920 are available to support this). I, Edward Alexander Crowley, hereby do constitute and appoint Mr. Karl J. Germer now of 1007 Lexington Avenue New York City N.Y. to be my personal representative in the United States of America and I agree to ratify all contracts made by him on my behalf. A formal Power of Attorney will follow in due course. I deliver this as my act and deed. Witness my hand. Edward Alexander Crowley (Aleister Crowley). Witness: D. Everett, 59 Sessel House WC1, London. By these Presents I, Edward Alexander Crowley, otherwise known as Aleister Crowley, or as To Mega Therion, chief of the A∴A∴, or as Baphomet, Frater Superior and O.H.O. of the O.T.O. 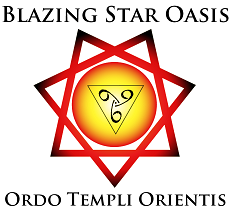 (Ordo Templi Orientis) do appoint Mr. Karl J. Germer, now residing at 1007 Lexington Avenue, New York City N.Y. to be my personal agent and representative in the United States of America. I hereby authorize and empower him to initiate, carry through, and conclude any contracts that he may see fit to make on my behalf, especially as concerns my work as a writer and lecturer. This present document is to be regarded as equivalent to a Power of Attorney, and is to be valid until further notice. Witness my Hand. Edw.d Alex.r Crowley. Aleister Crowley. This document refutes claims occasionally put forward that Germer lacked Crowley’s authority in O.T.O. and A∴A∴. Crowley sent another authorization on December 10, 1942 which omits Germer’s name but is clearly issued to Germer because of the address given. It is both sweeping in its authorization of Germer to deal with Crowley’s literary works, and specific to one title. He here uses “representative” instead of “personal representative” and defines it as empowering Germer to act as his agent and attorney (i.e. having power of attorney). I, Edward Alexander Crowley (Aleister Crowley) of 93 Jermyn St. London SW1 do hereby authorize my representative in the United States of America, presidently residing at 133 West 71st Street New York City N.Y. to act as my agent and attorney in every respect, and in particular to conduct all business in reference to my song “L’Étincelle” (at first entitled “La Gauloise”) as if I were myself present. And I pledge myself to recognize, confirm, and honour any and every document that he may sign on my behalf. Comparison of these earlier examples to Crowley’s April 20, 1946 authorization to McMurtry for the U.S.A. is instructive. Note that the authorization to McMurtry is written on O.T.O. letterhead, and identifies the parties by O.T.O. degrees and titles. As for the legal effect of the McMurtry’s personal representative appointment while Germer was living, it is reasonable to interpret the authority granted to McMurtry to be Crowley’s authority as head of the O.T.O. but within the United States, i.e., that McMurtry should have the authority of the O.H.O. in the U.S.A. under Germer’s review. So far as it concerns OTO, it would seem to supercede Crowley’s appointment of Germer to this position in July 1941 (quoted above), as that appointment included a clause that “This present document is … to be valid until further notice.” Various letters make it clear that Crowley was by 1946 positioning Germer to succeed him as world head, and not just head in the USA. McMurtry’s April 1946 authorization differs from the more limited March authorization for California, in that it does not specify that it should be used only in an emergency. It also differs in that it may be revised or vetoed by Germer, whereas the California authorization only required Germer’s approval. I have already cited substantial evidence that Germer accepted it, although it may not have been disclosed to the general membership. There is no evidence that it was ever revised or vetoed. Judge Legge, ruling in the 1985 US Federal Ninth District decision, was aware that the O.T.O. was international in scope and that the O.H.O. was the international head. Judge Legge’s initially ruled that McMurtry was acting O.H.O. in the U.S. (and not the world). While it is evident from his findings that Judge Legge accepted Crowley’s U.S. appointment granting the powers of the O.H.O., discussed above, he later indicated that he accepted Crowley’s designation of McMurtry as a future O.H.O. (Additional Findings, ¶38), which by definition carries worldwide authority. In the later “Additional Findings of Fact” McMurtry was described as O.H.O. without the qualification “acting” or any qualification as to jurisdiction (see Additional Findings, ¶¶ 36-40). It is notable that the Additional Findings were produced as the appellate court requested the trial judge clarify his reasoning in his original Findings; his decision was upheld. As far as the “secular authority” of O.T.O. is concerned, particularly in connection with real and intellectual property rights, this relates to whether McMurtry had authority to act outside the United States after Germer’s death. O.H.O. is by definition an international office. No other O.T.O. member in any other country (besides Germer) held comparable authorizations after World War II. After Germer’s death, McMurtry was the ranking O.T.O. officer in the world, and the only one who held the powers of the O.H.O. by appointment from a previous O.H.O. (Crowley). McMurtry was in effect appointed by Crowley in the so-called “Caliphate letters” as a backup successor to Germer in case Germer died without designating a successor, as he eventually did. 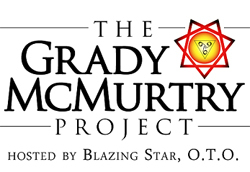 In reviewing both McMurtry’s and Germer’s files, I have noticed that Grady McMurtry was sent carbon copies of most of the important executor’s letters after Crowley’s death, and Germer discussed estate and copyright matters with him. An example is the January 1, 1948 letter from Germer to McMurtry. Germer also enclosed a copy of Frieda Harris’ letter to Germer of Dec. 23, 1947 on estate questions. Germer mentions sending a copy of the Harris letter to Roy Leffingwell (head of Agape Lodge) and Frederic Mellinger in Germany as well. It is noteworthy that these are, with McMurtry, the three “triumvirate” members discussed by Crowley and Germer in other letters, as this shows that Germer followed Crowley’s instructions in this matter. A letter to Frederic Mellinger survives in an original carbon copy in our archives. It was sent to Karl Germer by Crowley, and only has “Mellinger” in Crowley’s hand at the top, with no date or other salutation, and probably dates from late 1945. It appears from the context that Mellinger was still in California, and is being treated as an Agape Lodge member by Crowley. Crowley is encouraging the Agape Lodge members to make regular payments via Germer to be sent to England for the publications program of O.T.O. It is useful in explaining how the unincorporated association acted to help produce some of the intellectual assets that were later willed to it, and Crowley’s remarks are evidential as to who he intended to benefit from his copyright bequest. We ought to get out at least two books a year; they are your books; the copyright is vested in the O.T.O. and to anyone with the most elementary business sense it ought to be obvious that this being the principal assets [sic] of the Order, should be in every way protected and enhanced in value. I myself have shrunk from no personal sacrifice in order to economise with this purpose in mind. … But at the present juncture it is possible to resume full activity and I shall look to the Lodge to support the programme. Germer’s account books for OTO from the period (which survive intact) show that this fundraising campaign was successful, and his records are sufficiently detailed to establish that virtually all of the funds raised came from the U.S., and of these, the majority came from California. The only factual error in the Additional Findings is the first sentence of ¶40 (“Germer’s widow acknowledged McMurtry as the OHO”), which error was I believe a confusion related to McMurtry’s basis for dealing with the Sascha Germer estate by obtaining a Court Order. It was the Calaveras County Court that recognized his O.T.O. authority, and not the deceased Sascha Germer, although the legal recognition was obtained in connection with her estate.